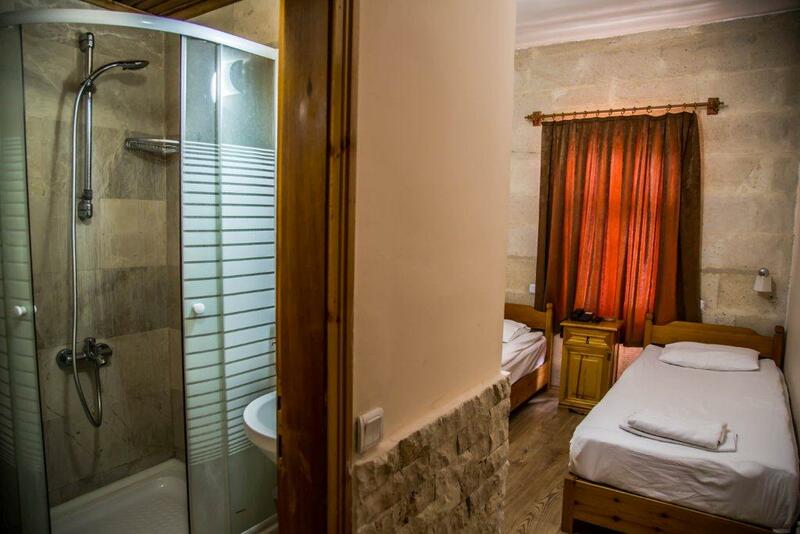 This room comes with a double and a single bed or 3 single beds. 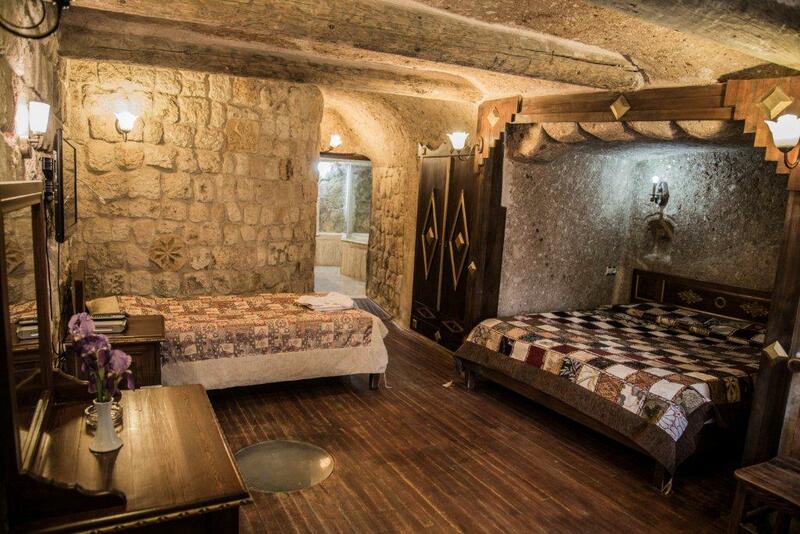 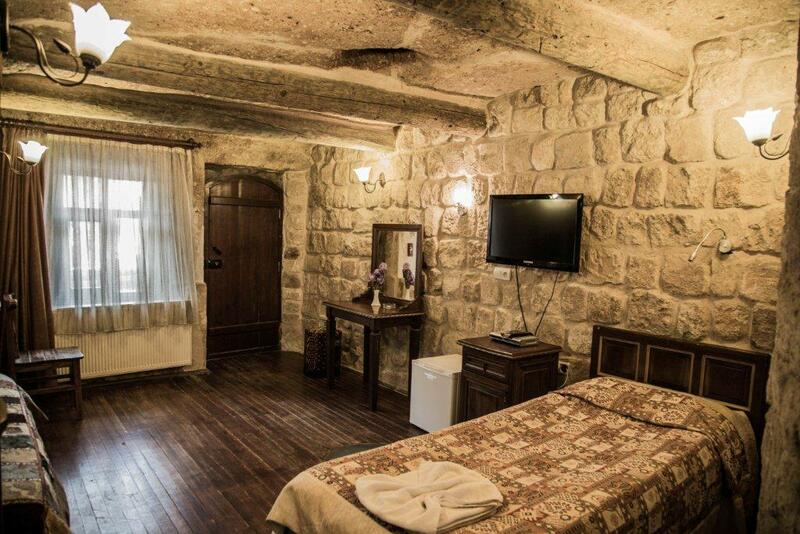 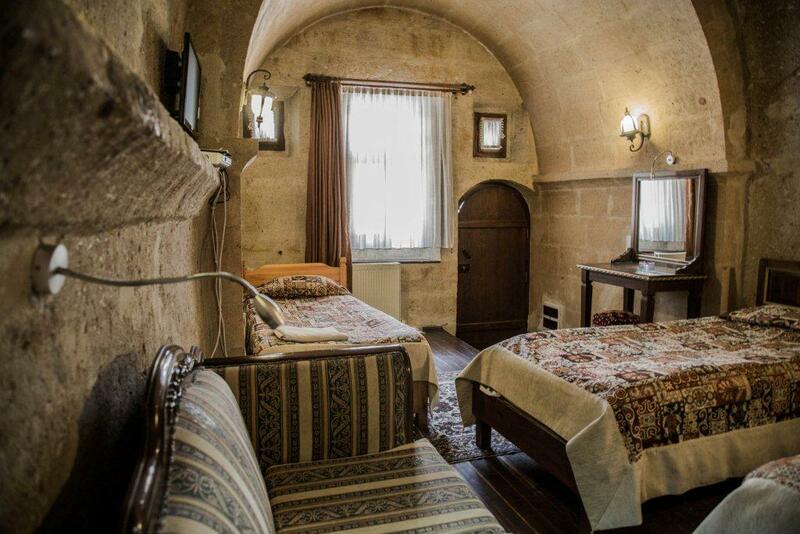 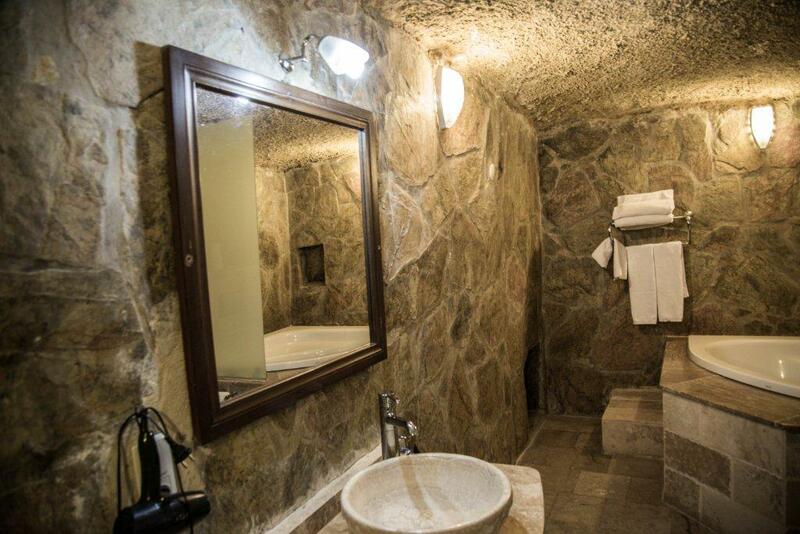 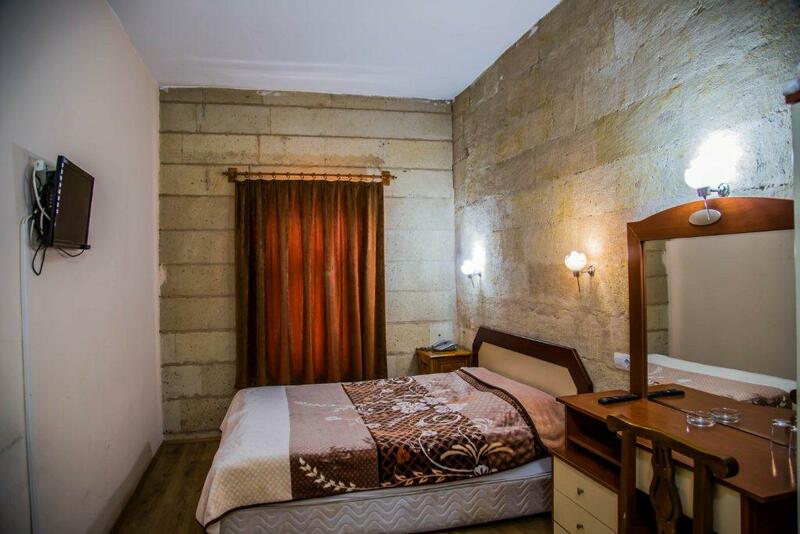 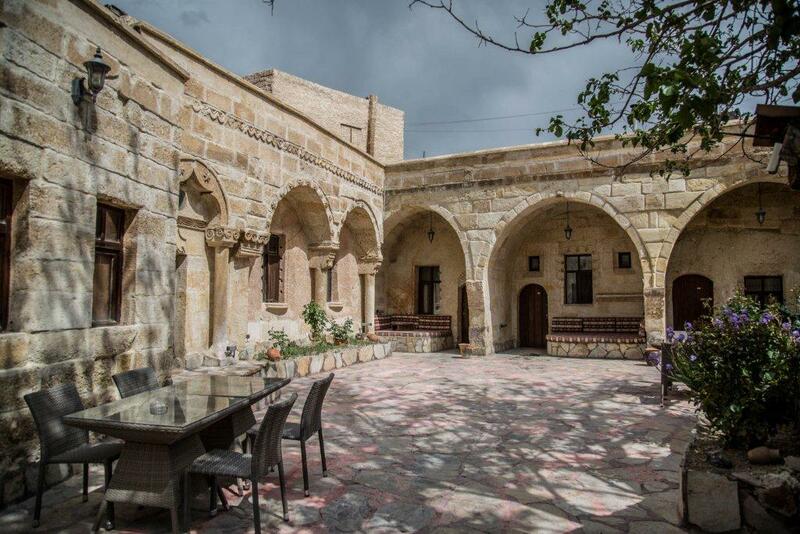 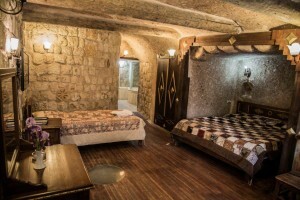 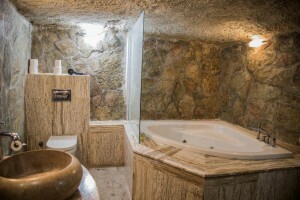 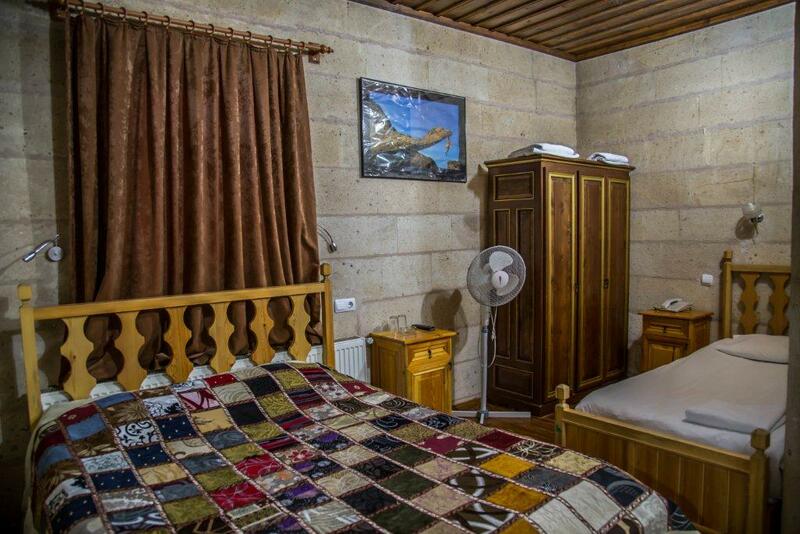 Traditional Turkish cave room featuring 3 single beds or 1 double and 1 single bed. 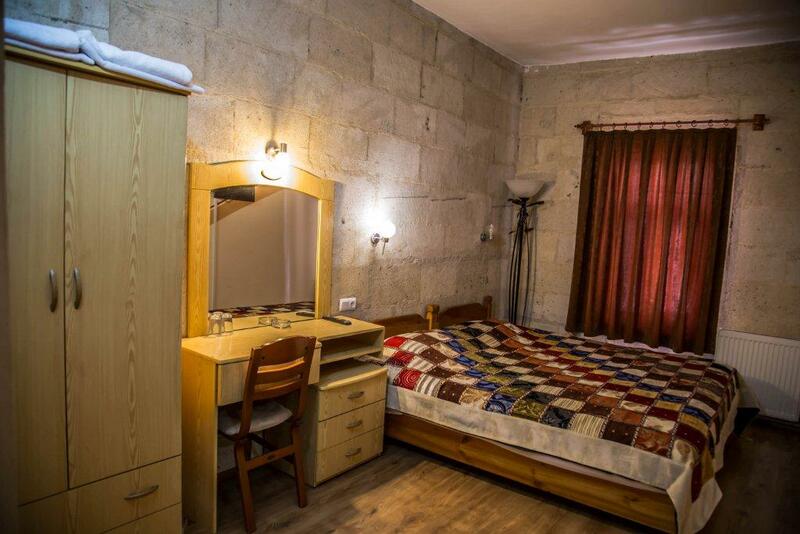 Bed Size(s): 3 twin, 1 full.